The 470 Test stand comes with a 400g deadweight and is for PTC® durometer types SL | OO | OOO and is also fully compatible with durometers of other manufacturers. 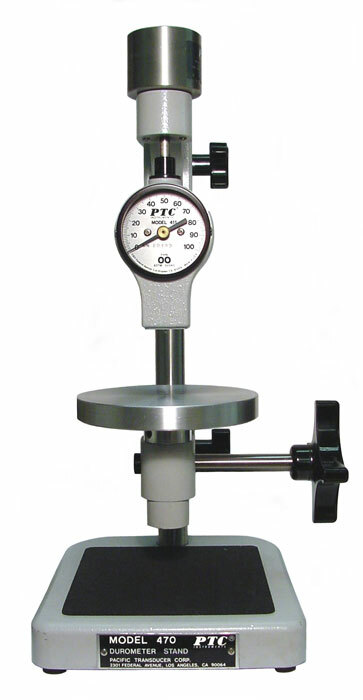 Precision engineered durometer stands are capable of applying the specimen to indentor in a manner that minimizes shock. When properly used, this stand and your durometer will increase repeatable hardness measurements. 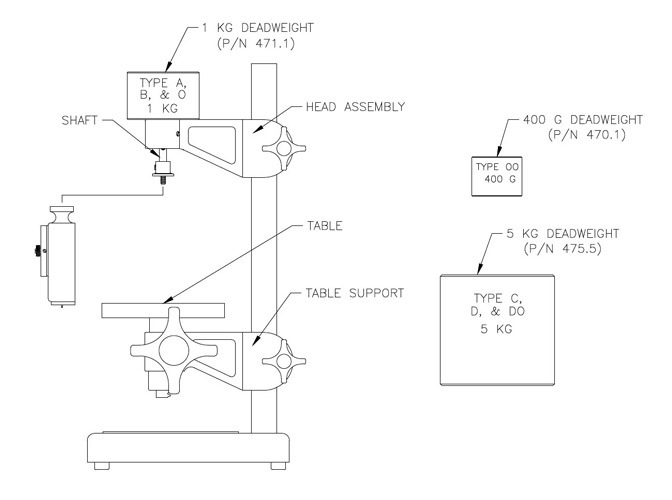 The table is self-aligning to allow testing of nonparallel material for increased repeatability. These stands will test materials up to 3" thick. Custom stands are available for larger samples. Mounts to PTC® Classic & Ergo Style Durometers and other top mount durometers.